We were at Ayala Triangle Gardens in Makati City last Saturday, November 19, 2011 to witness their lights and sounds show called Christmas Spectacular Spectrum. Since we planned to stay long, we decided to have dinner at one of the restaurants there. 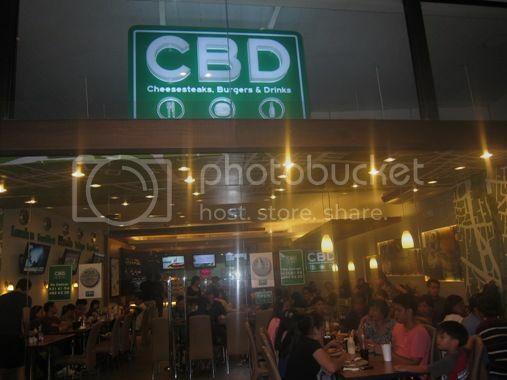 We chose to eat at CBD because it’s one of the less crowded places at Ayala Triangle Gardens. CBD stands for Cheesesteaks, Burgers & Drinks. The little boy ate his French fries really fast. He said he was really hungry, and he wanted to eat more. He devoured most, if not all, of the potato chips on his Dad’s plate as well, plus we ordered more potato chips for him. That was a lot of potatoes inside that small tummy. LOL! Hubby liked this very much! 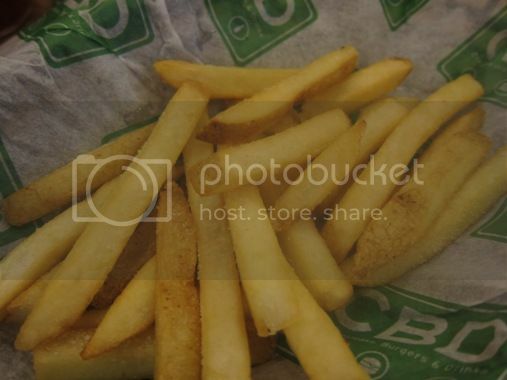 Because CBD uses U.S Angus beef, their burgers are tender, flavorful and juicy. I preferred chicken over beef, but I didn’t want my chicken fried, plus I wanted rice for dinner, so I settled for Grilled Chicken Steak. This did not disappoint me. The chicken was tasty, although a bit dry, and I ate it sans the gravy. I like their coleslaw, too. This one’s for Justin’s yaya. According to her, the burger was a little spicy, but tolerable, and it was yummy. This entry was posted in American Cuisine, Ayala Triangle Gardens, Burgers & Drinks, CBD, Christmas Spectacular Spectrum, Food Trip Friday. Bookmark the permalink. oh, the lights and sound show has started 🙂 must go there, we missed it last year. Your grilled chicken steak sounds healthy, i must try it when we go there 🙂 Happy FTF! oh god i wanna try it too!! i like burger steak…whenever i need a quick lunch, burger steak will do. nyahaha.. di sya gutom Tetc, na miss lang nya ang potato lol. 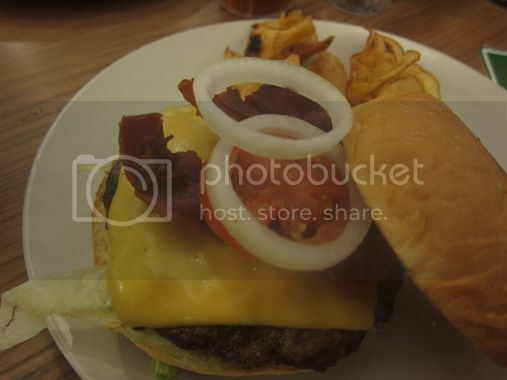 Gusto ko yong Bacon cheeseburger…hehe Visiting from FTF. Hope to see you at my blog. i missed burger steaks, too:) christmas is really “THERE”. the NY bacon cheeseburger looks yummy! i was supposed to be in ayala this evening to meet with some friends but the traffic was just terrible. i’d like to see the lights, too. I’m really happy to finally meet you,Mommy Techa!!!! My kids love french fries a lot . for sure they’ll gonna like it at CBD. 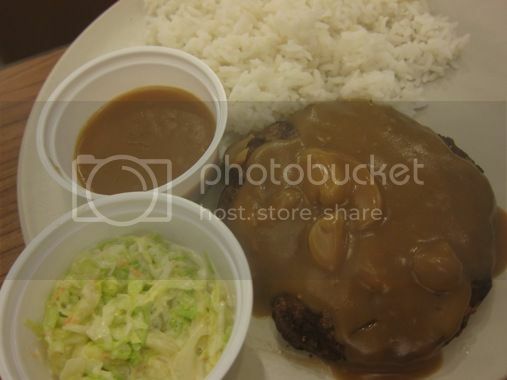 Ilike the burger steak with rice. 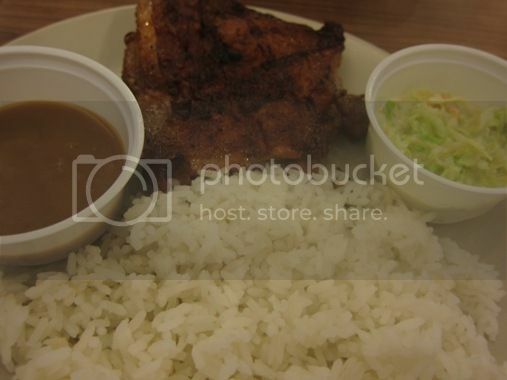 yum…looks very delish and afforadable too, am drooling 🙂 Dropping some love for Food Trip Friday, hope that you can return the favor too.